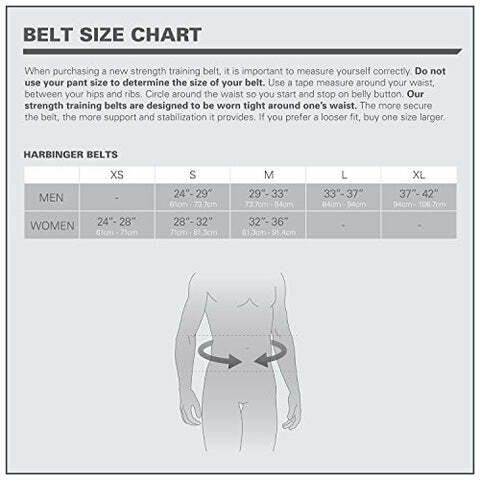 The 5" Foam Core Belt from Harbinger is a low-cost, lightweight alternative to the traditional leather weightlifting belt. Designed wider than most nylon lifting belts on the market, it offers complete, firm support of the lower back and abdomen throughout squats, hang cleans, deadlifts, and more. The Foam Core Belt's hook-and-loop design and heavy-gauge steel tensioning buckle allow for a fully customizable, extra-secure fit. It also makes it easy to quickly tighten or loosen the belt when switching between heavy lifting movements and light/bodyweight movements. A flexible foam core, plush tricot lining, and tough nylon exterior give the belt a unique combination of comfort and durability.